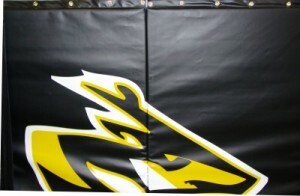 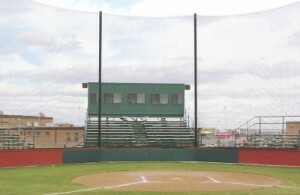 All LISCO backstop padding is fabricated with 18 oz coated vinyl and high-density foam. 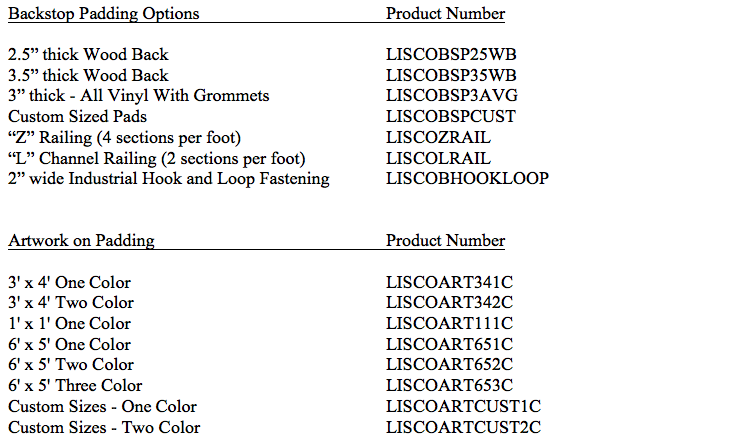 For solid walls, LISCO recommends using a hard wood backing with metal railing or industrial strength hook and loop to secure padding. 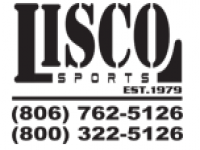 For chain link fences, LISCO recommends all vinyl covered foam padding with 1” lip on top and bottom with grommets every 12” to secure to fence.